The messaging company is allowing deeper integrations with tools like Asana, Zendesk and HubSpot. 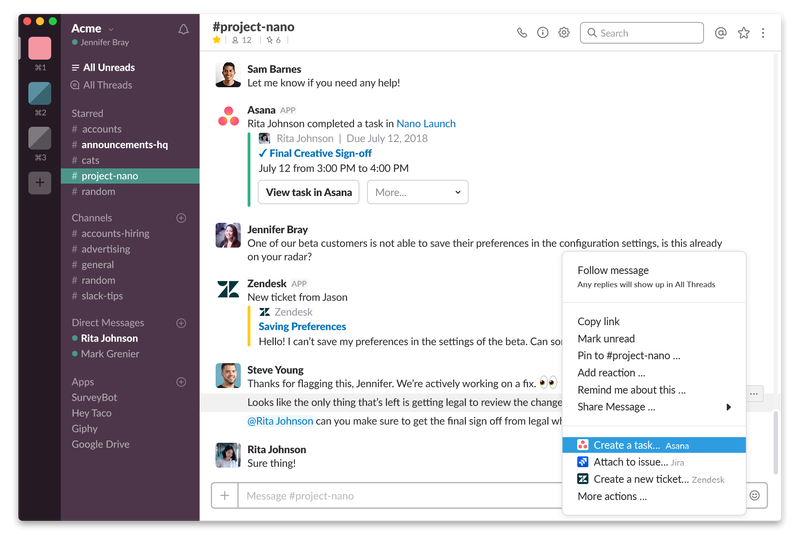 The business communications service Slack is launching a new set of integrations for app developers that will let their users do more than just chat. 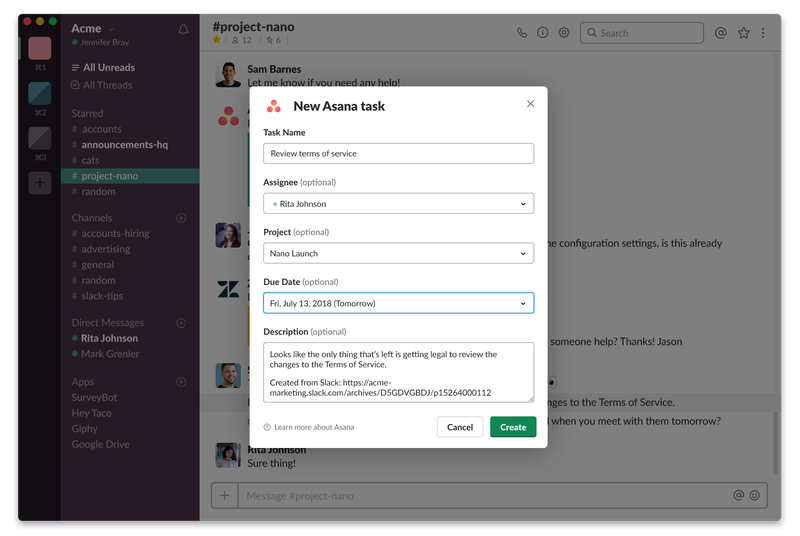 A new tool called “Actions” will allow Slack’s eight million users to turn their messages into things like project tasks or customer-support tickets, starting with deeper integrations with a handful of partner apps, including task-tracker Asana, customer support system ZenDesk and marketing tool HubSpot. Slack will announce the new feature at its developer conference in San Francisco today, after which any apps that integrate with Slack can also build similar actions. The launch of Actions is Slack’s latest move to become more of a front-end for work, and not just a messaging service. Slack has had app integrations since its launch in 2013, but those have mostly been to either enhance the chat itself — like using the Giphy plugin to search for gifs — or to close the loop on simple yes-or-no-type tasks, like approving or denying an expense report in Concur. This is the first time Slack users can send detailed information into third-party apps, which could be a time-saver. Here’s an example of what it looks like today: Pretty limited and simple. Here, a Slack user is chatting with his colleague about how they need their legal team to sign off on a project. The user can highlight the text and click “Create a task …” action to generate a task in Asana. Next, the user will be prompted to fill out a form like this one to finish creating the task in Asana.